Every year, approximately 4 million (1 in 8) Canadians are affected by a foodborne illness. Foodborne illnesses cost the food industry and health care system billions of dollars annually. As an owner, manager or supervisor in a food service establishment, your job is to build and nurture a workplace environment where food safety is valued and safe practices are part of your standard operating procedures. Would you like your staff to receive FOODSAFE training as a group? You have options! 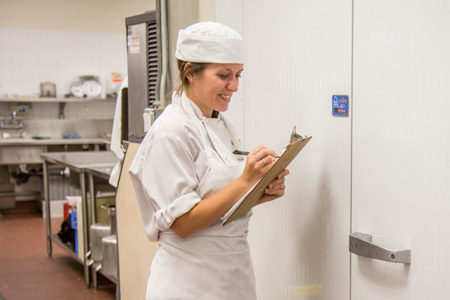 Instructor Guides and Student Workbooks for FOODSAFE Level 1, Level 2 and MarketSafe are available for purchase from Crown Publications, Queen's Printer. Check out our Resources page for templates, charts, checklists and links to food safety information.